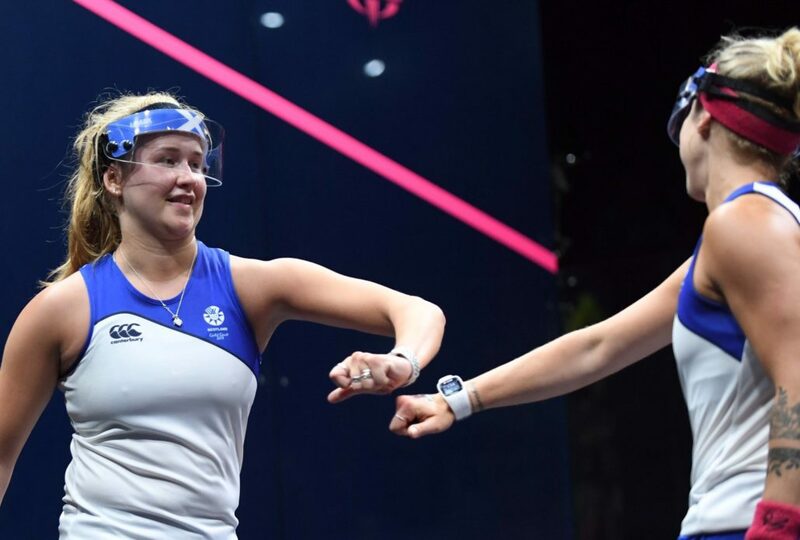 Scotland’s Alison Thomson hopes to build on an impressive start to 2019 when she competes for honours at The Springfield Scottish Squash Open. The 22-year-old is fourth seed in the women’s draw for next month’s tournament taking place at Oriam; Scotland’s Sports Performance Centre, in Edinburgh from April 3-7. Thomson (WR73) enjoyed the best win of her career at the Cincinnati Cup in February getting the better of in-form American Haley Mendez who was at a career high world ranking of 42. 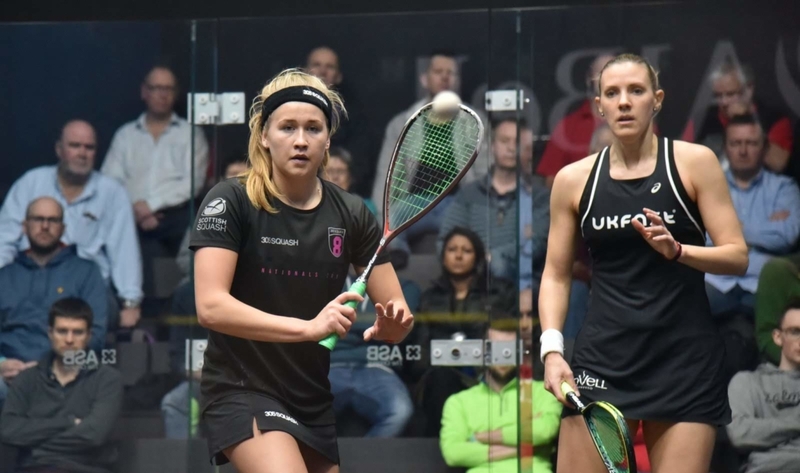 She won their 72 minute epic, 11-9, 11-8, 5-11, 7-11, 13-11 before losing narrowly in round two against world top 15 player Victoria Lust. 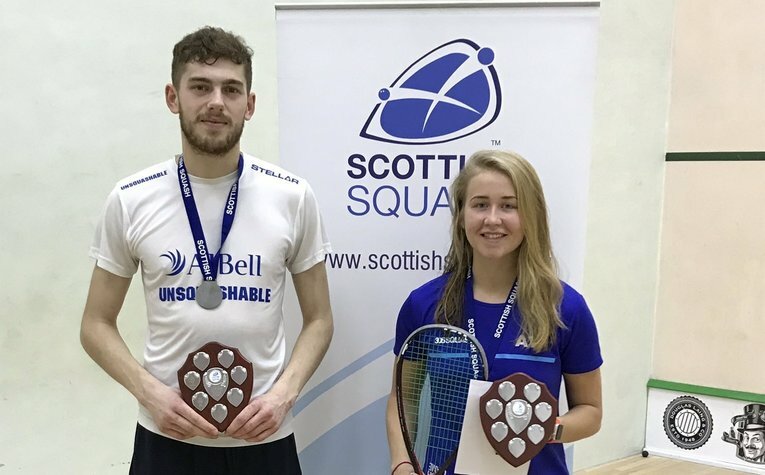 It follows gold for Alison at the Imperial Commercials Scottish Under 23 National Championships in January, a silver at the British U23 Open and a last 16 finish at the Edinburgh Sports Club Open. The Team Scotland athlete puts her recent good form down to a successful training block in January at Oriam and is looking forward to returning there for the competitive action. “I am playing well and feeling good,” she said. “I came up to Scotland in January, played a few tournaments and got some good training in at Oriam which really helped me win the match in Cincinnati. 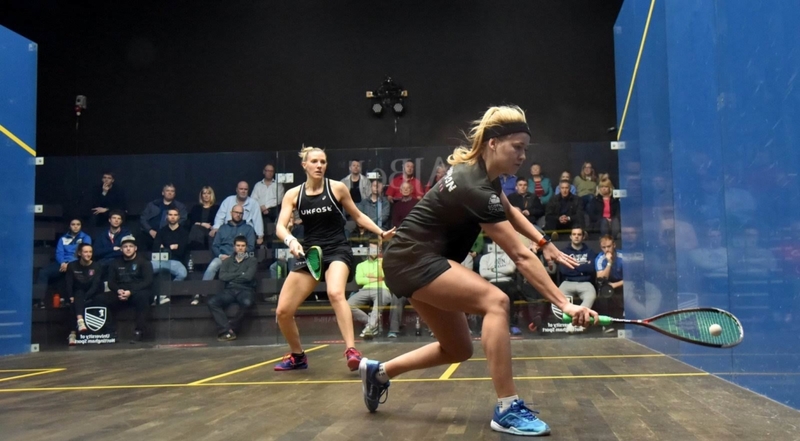 “With Kylie Lindsay (Scottish Squash Senior Performance Coach) I have been working hard on the basics and trying to be more consistent and improving my drives. “I’ve also been focusing on my short game, taking the ball short at the right time and really committing to the shot. Thomson, who’s based in London, continued: “I’ve trained at Oriam many times but it will be a new experience playing in front of a crowd. “There’s seats at the back of the show court and the front wall which will make for a good atmosphere. 2019 Imperial Commercials Scottish Under 23 National Champions, Rory Stewart and Alison Thomson. This week Alison is heading to Skellefteå to compete in the Cronimet Swedish Squash Open before returning to the UK for the Courtcare Northern Open in Manchester. Fellow Scots Georgia Adderley and Elspeth Young are due to meet in round one of the Swedish Open where Senior Performance Coach Kylie Lindsay will be in attendance. Thomson said: “It’s really good to have Kylie at these events and everything feels very positive in the women’s game in Scotland just now. Players from 18 different countries will be vying for titles at the Springfield Scottish Squash Open in Edinburgh next month including, in the men’s draw, Scots Alan Clyne, Rory Stewart, Chris Leiper and Fergus Richards with Georgia Adderley, Carrie Hallam, Lucy Murchie and Katriona Allen adding home interest to the women’s draw. For more information on the 2019 Springfield Scottish Squash Open and details of the draws, head to the official event website here.